Missed out on Black Friday? Make sure you're on time for our Cyber Monday offer! Missed out on Black Friday? Make sure you’re on time for our Cyber Monday offer! Another Black Friday just passed last week, and so did all the insane deals and bargains that came with it. Fortunately, the discount madness is not entirely over because today is Cyber Monday, which means you get a second shot at purchasing whatever you couldn’t last week, and still at a reasonable discount. At TNW Academy, we’re on a mission to bring you the best online courses and opportunities to get yourself ahead in your life. And today, in celebration of Cyber Monday, we want to offer the chance to make a positive impact on your career by signing up for one of our courses at a 30 percent discount! All you have to do to receive the discount is to enter the code CYBERMONDAY once you’ve decided on the course of your choice. Taught by seasoned media strategist and author of the best-selling book ‘Trust Me I’m Lying: Confessions of a Media Manipulator,’ in Growth Hacker Marketing: The Course Ryan Holiday will give you the blueprint for the marketing success of some of the world’s leading mega-brands, among which Facebook, Dropbox, Airbnb as well as Twitter. Hungry for more? 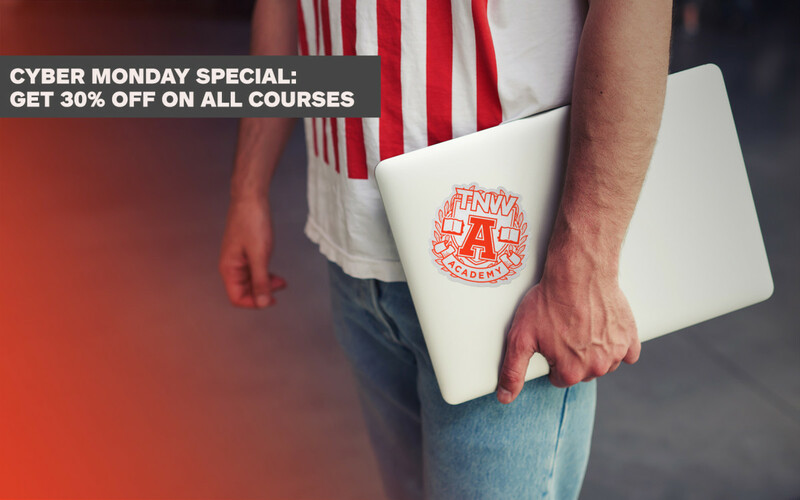 Visit TNW Academy and take advantage of our Cyber Monday special offers by enrolling in any of our premium courses today. Don’t forget to use the code CYBERMONDAY to get 30% off the original price! Oh, and don’t wait too long or you might miss your chance, these offers will end very soon (ending time: Tuesday, Dec 1, midnight at Eastern Standard Time). ➤ Check out all courses at TNW Academy!